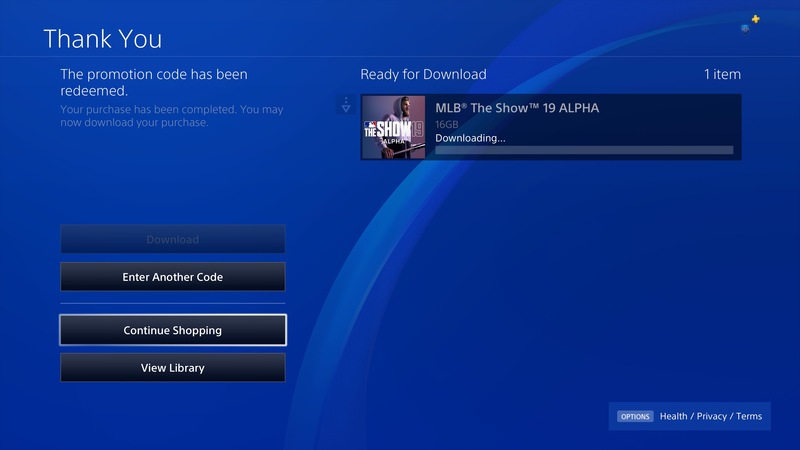 The MLB Winter Meetings are in full swing in Las Vegas and the MLB off season is well underway, but Sony has a surprise for MLB The Show 18 gamers. 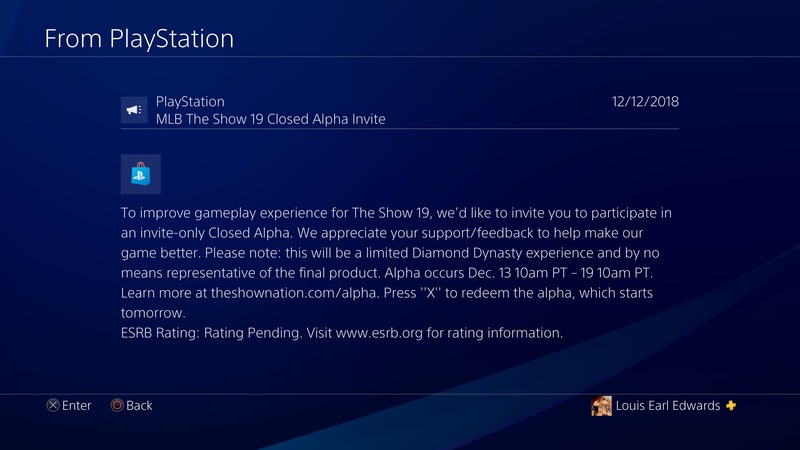 Closed Alpha Invites are currently being sent out VIA the PS4 messaging system and will give you a code that allows you to download the MLB The Show 19 Closed Alpha. Download size is 16GB but the alpha servers won’t go live until tomorrow.